Fleeing from troubles at home, young Aleyn signs on to the crew of a merchant trade cog off the coast of Eire, but he has no idea what dangers await him on the open water. 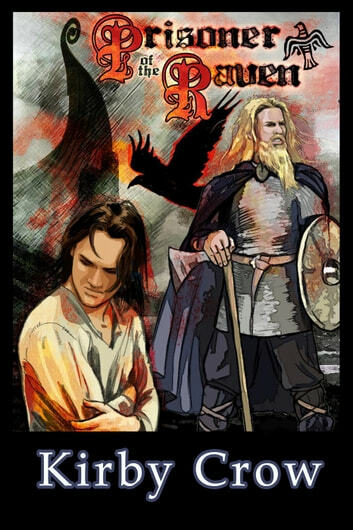 Viking raiders patrol the shores like hungry wolves, taking whatever they wish, and when Aleyn's ship is attacked and the crew killed, he finds himself the helpless prisoner of Ranulf Eriksen, a ruthless, powerful Viking jarl who commands the longship Lymskyr. Aleyn expects to be killed or sold to the Saxons as a slave, but Ranulf offers him a bargain: his body in exchange for his freedom. Faced with the choice of temporary whoredom or lifelong slavery, Aleyn chooses to give himself to the handsome and oddly-compelling Northman. What Aleyn could not imagine was how much two lonely people in extraordinary circumstances could learn about each other in so short a time. Ranulf is also unprepared for the strength of his feelings for Aleyn. As Ranulf's Viking crew begins to suspect Aleyn of using witchcraft to meddle with their leader's wits, the jarl must defend his lover from the murderous intent of his men without further risking his own tenuous hold on power..